Working from home can be both convenient and a headache at the same time. There are things you can’t control throughout your day, however, creating the space you want can help make your workflow smoother. Here are 5 Easy Ways to Organize Your Home Office in a Day. 1. Get rid of paper you don’t need – This includes junk mail, paper with notes you don’t need, sticky notes, magazines you’re not reading, etc. Having a recycle bin near your desk will not only be good for the environment, but also clear up space. 2. Create a Mailing Station – Put all incoming mail and paper into an “Incoming” folder. Once you have read it, you can then decide if it needs to go into the recycle bin or in a folder in your filing station. 3. Create a Filing Station – This could be the traditional filing cabinet next to your desk or large basket containing all your file folders. 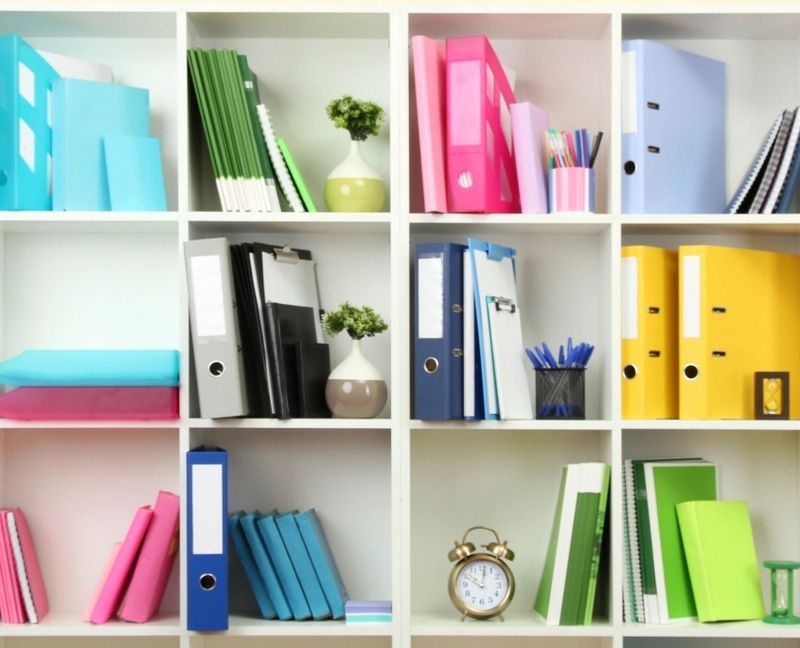 Your filing system could be organized by color or alphabetical. Having a filing station gives your ‘work’ a place to neatly go instead of a growing pile on your desk. 4. Get Storage Containers – Storage containers such as drawers, baskets and bins can help organize any clutter. When it’s time time to tidy-up, everything will have a place out of site. 5. Organize Your Books – The easiest way to give your home office an organized look is to organize your book. You can organize them by genre, color or size depending on your preference. There are many more ways to organize your office, however, starting off with just a few tasks you can do in short time is a good start.